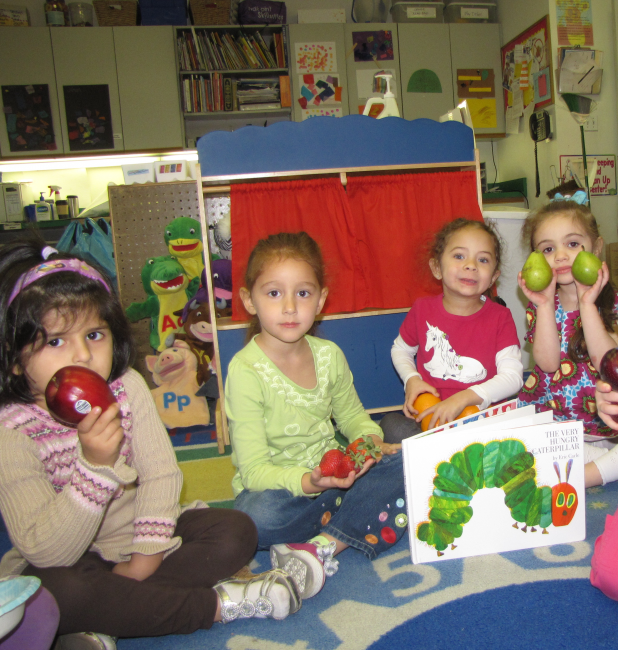 For several weeks, the focus of our preschool classroom has been the classic early childhood story of The Very hungry Caterpillar, written by Eric Carle. 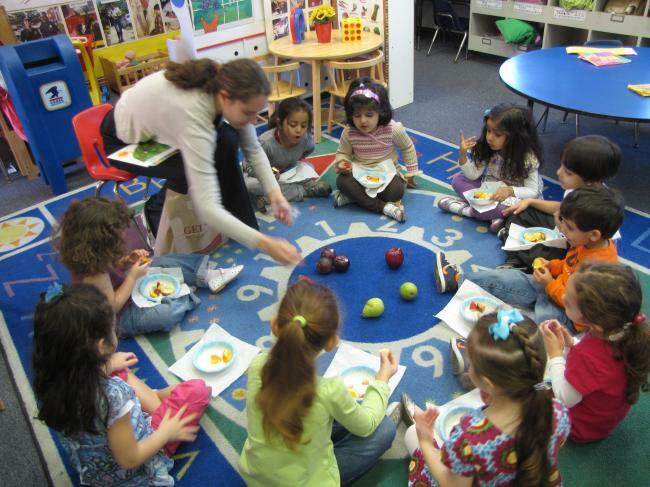 As an extension to the story, Ms. Heidi and her preschoolers have focused on healthy eating habits. 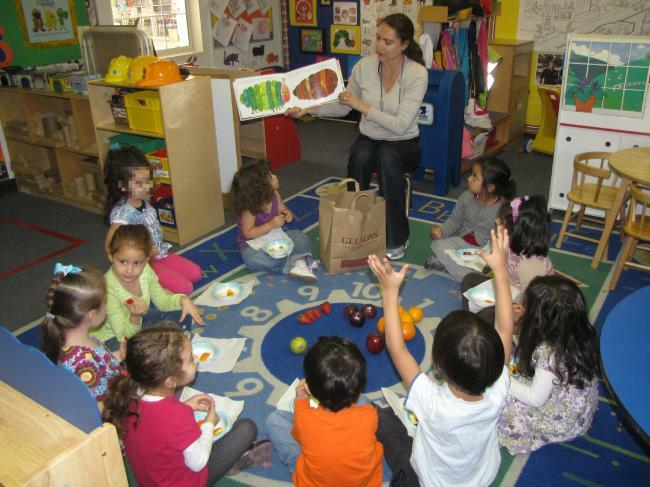 They’ve talked about good food to eat and foods that might give us a stomachache like the very hungry caterpillar. 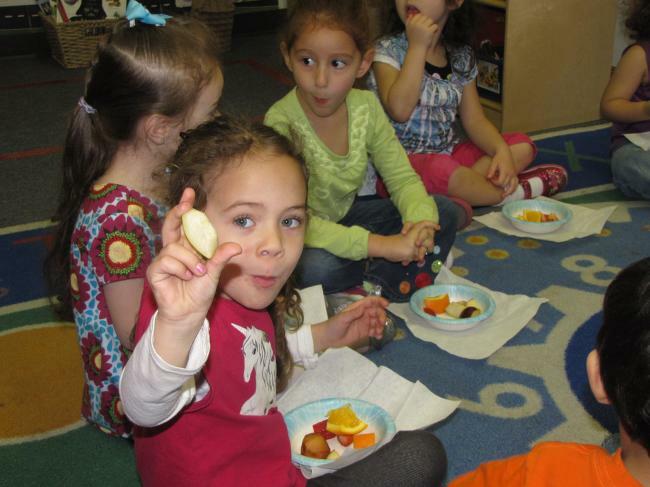 One Friday morning, during snack our very hungry preschoolers were able to eat: one apple, two pears, three plums, four strawberries, and five oranges. They did not eat chocolate cake, ice cream cones, pickles, Swiss cheese, salami, lollipops, cherry pie, sausage, cupcakes or watermelon because they didn’t want to get a stomachache like the very hungry caterpillar. 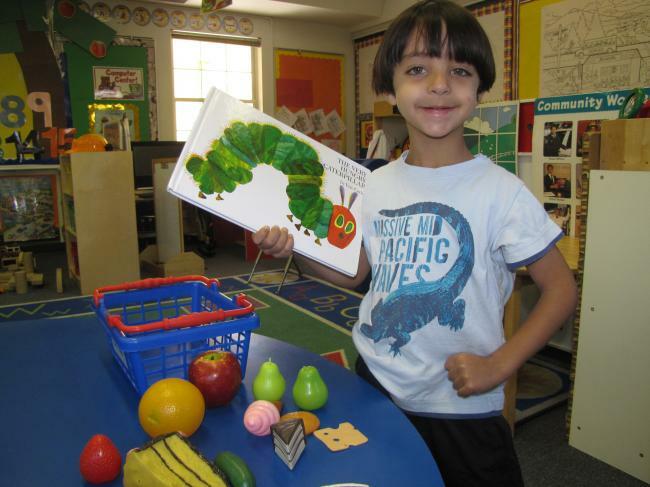 Good nutrition and healthy eating habits are helping our preschoolers to grow into strong and beautiful boys and girls –just like the very hungry caterpillar who turned into a beautiful butterfly.